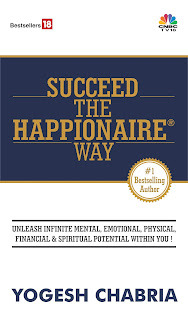 Yogesh Chabria - The Happionaire ​Blog - Best Motivational Speakers In India - Inspiration, Success: What Happens If India and Pakistan Were To Merge? What Happens If India and Pakistan Were To Merge? Firstly thanks for the lovely wishes. Thanks Ravi, Pratyush, Harish and all the others for your views and wishes. Ravi, will write on your query on Oil and Gold in the coming time. There seems to be some problem with our Blog, I am unable to see it online. Anyone good at IT? Was thinking I could use a Volunteer who could take care of the IT for us on a long term basis - like now I don't know how to get the Blog back Online. Rather than contacting someone outside, maybe a fellow Happionaire can help out? As it was Christmas and a holiday, I was listening to Freakonomics Radio on Should USA Merge With Mexcio? - I enjoy listening to Freakonomics Radio and love the different approach it takes to business and economics. I think all of you should check it out when free. Now this got me thinking something else - What Would Happen If India and Pakistan Were To Merge? Firstly, many people would be opposed to idea of even having such a thought. It is controversial and not something many people would like, but just for the sake of thinking, what would really happen if India and Pakistan were to merge - into one larger country such as the India under the British? I am not talking about waging war, but having the people of both nations, wanting merger. As Sindhis, my ancestors, less than 70 years ago, we were in Sindh in Pakistan. 1. Firstly Pakistan would end being an extremist state. It would become a part of Secular India where people of all religions are free to practice their faith. It would help the people of Pakistan, who would want to end terror and fundamentalism. The peace and security in the region will increase, with India having access to hunt down terror unites hidden in the tribal parts of Pakistan. We can eliminate terror groups and make sure all training camps and centres that preach terror can be destroyed. I have met many Pakistanis and they are fed up of the terror groups and want it to end. 2. Indian movies would get a big boost, most Pakistanis love watching Bollywood movies. We on the other hand would get many more actors, actresses and musicians from Pakistan. The cultural benefits are immense, we could enjoy their plays and comedy. 3. Pakistan opens up a big opportunity to develop infrastructure, business and economic growth. With proper safety, security and education, Pakistan can develop rapidly. See the immense growth that happened in India in the past ten years, the same can happen there and this becomes a big opportunity for everyone. So from airports to aviation companies to people developing infrastructure. 4. For India, it opens up trade with other countries in the region. We can access new markets and ensure the borders at Afghanistan are sealed and secured. We can now protect ourselves better. With a merger, we ensure that we improve safety, security and lives. 5. Culturally, socially and physically, there isn't any difference. Together if we bridge the gaps, we can stop investing in nuclear weapons, arms and ammunitions. All this money can go towards development, education, improving lives, removing poverty. As nations if we become one, we can move beyond the issue of borders and fighting and work together to make lives better. Together we can make people happier by giving them new opportunities to do business and grow. I would love to hear what your thoughts are on the same? Do share them! My love goes out to people of all nations and cultures. May God bless everyone! Nice thought. Just like there is no ideal world, similarly such things for India & Pakistan to unite is next to impossible. Interesting Perspective.During one of my interaction with one of my colleagues in Germany , I did bring about having something in the line of European Union where we have some of key Asian nations such as India , Pakistan ,Bangladesh where we can use same currency, travel within those countries with visa etc..My friend brought an interesting perspective that it will be great re-union between India and pakistan as it was between East & West Germany. You are an incredible human being with such path breaking thoughts...Imagine how the world be if people start exploring such thought.. I have been in information technology industry for over 15 years and can certainly advise you how to run your digital platform and help you spread your message to greater number of audience...We need more collaborative leaders with breakthrough thoughts such as yours..